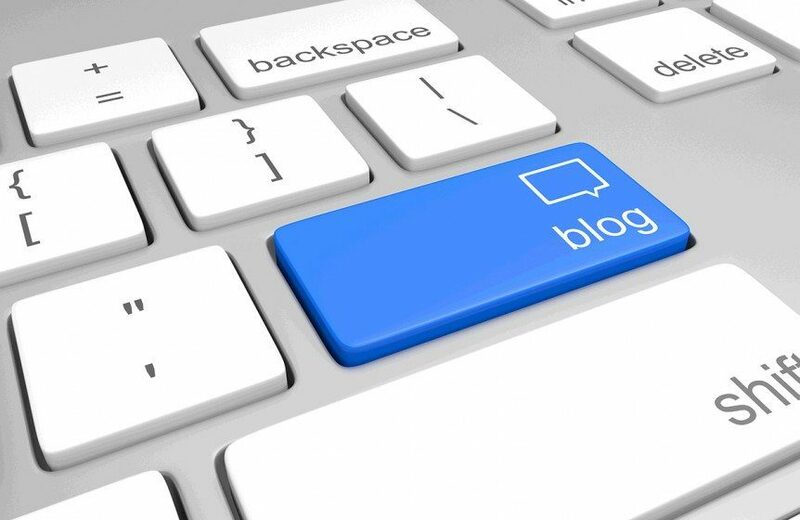 Blogging is one of the easiest, yet also one of the most valuable tools that your organisation can use to engage with customers and ultimately make them happier and more likely to do business with you. If you’re still not blogging, now is the time to get started or risk being left behind. Your company website might only consist of 10 pages to 20 pages of content and there is only so much you can write about your company and the products or services you offer. What’s more, a lot of this content is probably static and, if we’re honest, potentially quite boring to your customers. They want content that is helpful and insightful. Content that focuses on them and their needs rather than you and your company. Imagine if you were to set yourself a goal of producing just one blog post per week, within a year you’d have more than 50 new pages that had been added to your website. Think about it, that’s 50 shiny new webpages filled with the kind of content that your customers actually want to read. It’s common knowledge that Google loves fresh, relevant content that people are actively looking for, and having a blog can really help your website climb up the search rankings. Every new post is an additional page of your website that can be indexed by the search engines, so over time this can really help you out. Let’s face it, unless you have an uber cool and trendy brand, most people are not going to be all that interested in interacting with your company online. It can be a bitter pill to swallow, but the harsh reality is that most people don’t care a great deal about your company, your products/services or your history. By creating customer-focused content that people find useful and informational, you encourage people to become repeat visitors to your website and increase the likelihood of them sharing your content with friends and colleagues. There is a common misconception that blogging only works for certain industries – like consumer brands, for example. People often think “No one would be interested in reading our company’s blog.” This isn’t true because, if you do it right, writing blog articles can work wonders for any industry. You may manufacture something such as uPVC windows, but you can still generate interest in your company by addressing the issues that you know your customers face. You could produce a list of factors to consider when choosing new windows, or maybe you could explain to customers how they can save money on their heating bills by choosing the right type of glazing for their home. Good content is very versatile and you can often find multiple purposes for it across the other marketing channels you use. Imagine you write an amazing piece for your blog, one that your customers obviously love and respond really well to. Why leave it there? You could use your article as the basis for an ebook, make it the focus of an email blast or even add it to your corporate brochure. Good content will always find its way into the hearts and minds of your customers, so don’t limit yourself to only one platform. Publishing blog article nurtures happy and well-informed buyers, builds on the knowledge and expertise of your employees, reduces your reliance on third parties and helps you to enhance your reputation within your industry. The list goes on and I suppose we could go on forever, all you really need to know is that it really does work. Now that you understand the importance of blogging for your website, speak to Freshly Squeezed Design about how we can incorporate a blog into your new website design today.